Value Sticker by the Roll - Square - 3" x 3"
Large surface area provides ample space for your logo on large stickers! Seal your envelopes, label your property, control your inventory, identify your staff, label your files, or anything else you can think of with these handy square labels. 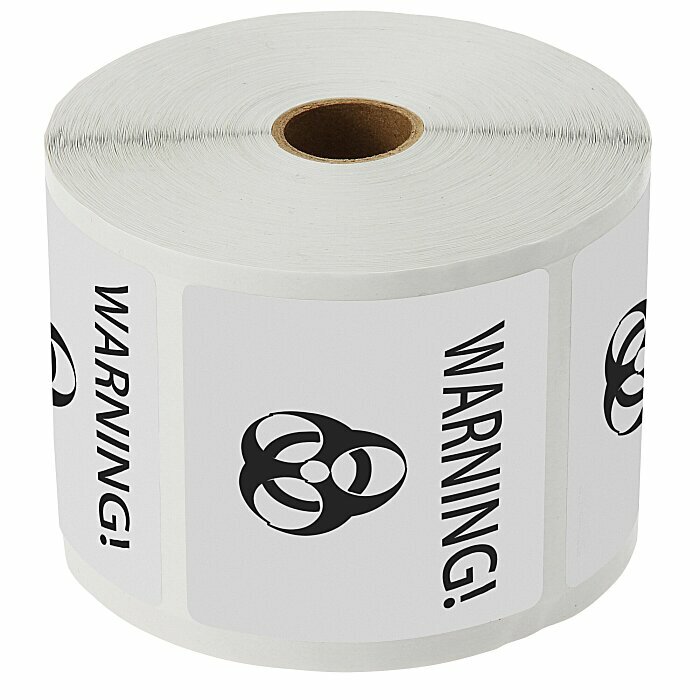 Remove each individual die-cut sticker with ease from each roll of 1,000 labels. Whether your mailing crew is putting together mailings or your event staff is giving out stickers to people in line, these rolls make for simple, efficient distribution. You get to customize the white labels as appropriate for your needs. Many other label shapes and sizes are available to suit your needs; contact your customer service representative for even more options. Size: each sticker is 3" x 3".